Invicta Project. Photo by Lupaka. 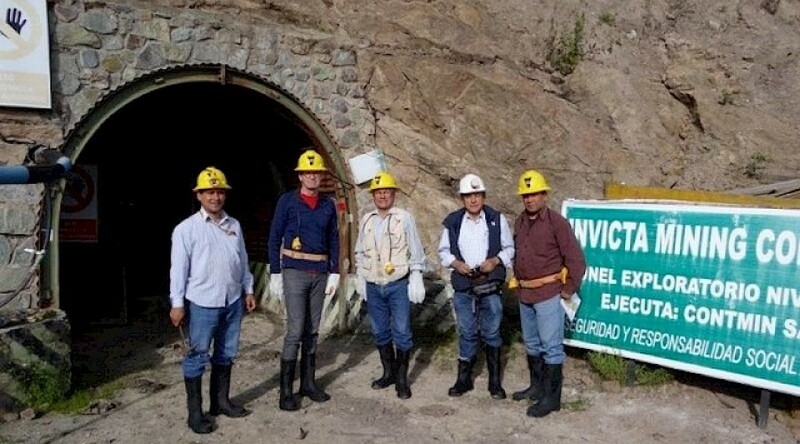 Lupaka Gold (TSXV: LPK) denounced today that operations its Invicta Gold Development Project, which is located some 120 kilometres north of the Peruvian capital, have been impacted by an ongoing demonstration organized by a group of residents of the nearby community of Paran. According to the Canadian miner, the protesters have blockaded the access road directly outside of the main gate of the mine, which restricts access to the site. Thus, they had to find alternative ways to evacuate workers and they also had to halt the transportation of 18,000 tonnes of material for toll processing. Mining and development activities, however, have not been significantly impacted and technical work is being carried out from a remote office. “The Company has complied with its contractual obligations and has a productive and positive relationship with the communities of Lacsanga and Santo Domingo, which are directly impacted by Invicta, and for which community agreements are in place. The Company does not have a community agreement with the Paran community, as Invicta and the main access road are not on Paran lands. The demonstration is taking place on the legally registered lands of the Lacsanga community and has restricted its ability to provide support services to Invicta,” Lupaka said in a media statement. In the release, the firm explains that on October 24, 2018, management held a meeting with representatives of the demonstrators and the Peruvian Ministry of Energy and Mines. In order for the meeting to happen in the first place, the demonstrators had to agree to abandon the blockade but they did not comply with the request. Therefore, Lupaka said it had to get in touch with federal and regional police, while still trying to negotiate with the protesters, in order to regain use of the access road. "We have taken steps to build positive relationships with Invicta’s local communities and will continue to prioritize and be respectful of the communities in which we operate. Although we are disappointed with the illegal action of this small group of protesters, we continue to engage with them as well as the authorities to reach a quick and amicable conclusion. We will continue to provide updates on the impact of this illegal blockade,” the company’s President and CEO, Will Ansley, said in the brief.